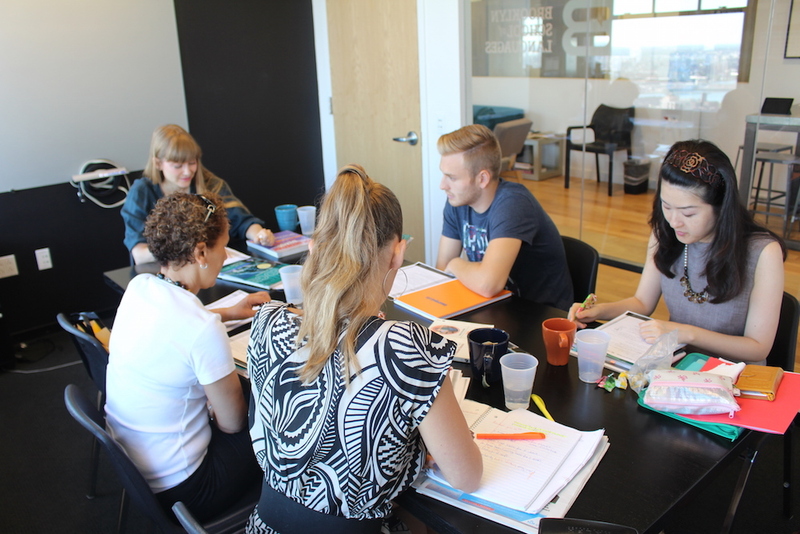 The Intensive course at BSL is an excellent option for those students considering English classes in New York, for several reasons. The intensive structure of the course with 30 lessons each week (22.5 hours), ensures that students can progress quickly in their learning of the language. Morning General English group classes are combined with a range of afternoon electives that are academic-skills based and content based. Students taking this intensive program at Brooklyn School of Languages can study for between 8 and 64 weeks. An intensive course of English studied over 3, 6, 12 months or longer is an excellent way for students to fully immerse themselves with learning English. Also, by taking this course, which is only available for students on a student visa, students can use this opportunity to study at an English school in New York, before going onto further education at a US University. Applying for a student visa rather than a tourist visa allows a longer stay in the US and therefore more flexibility should students want to study for a longer period. There are a wide range of University pathway programs available for students thinking about continuing their studies in the USA once they have completed their English program.